The UWA Boat Club is deeply saddened by the news of Adrian Monger’s passing on the 10th of July 2016. Adrian was a bronze medalist in the Australian men’s eight at the 1956 Olympic Games. 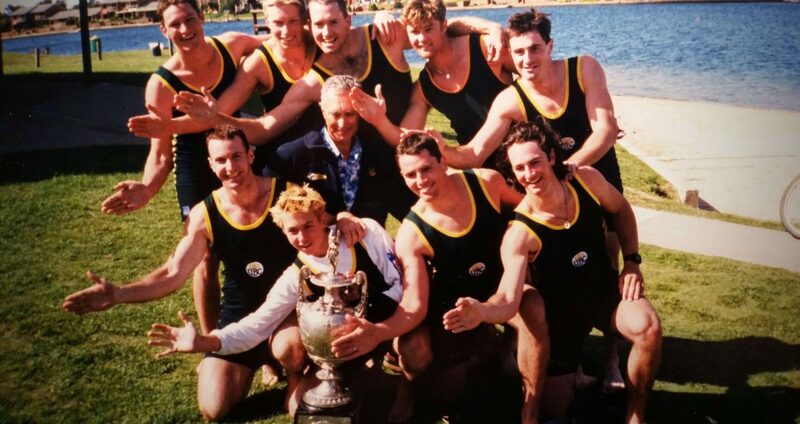 He was the coach of UWA’s Oxford & Cambridge Cup winning men’s eights in 1997 and 1998. He also had a long association with the Melbourne University Boat Club and Scotch College rowing. He was a gentleman and a knowledgeable and passionate coach, held in high regard by all who met him. The club is very grateful for everything Adrian did for university rowing. Adrian’s funeral will be held at 12:30pm, Thursday July 14th at Karrakatta Cemetery.